Google Drive is absolutely one of the best cloud tools out there. Its potential for education is evidently huge and that is why I have been writing a lot on it. 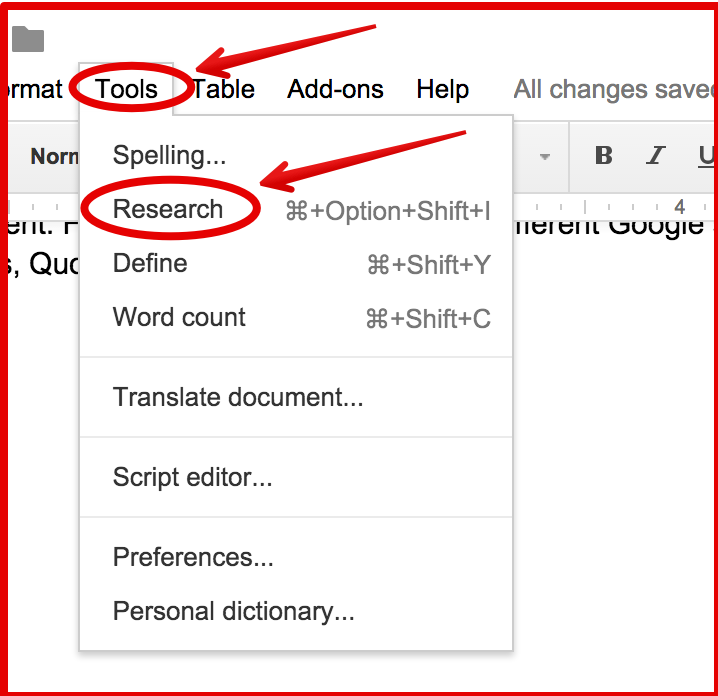 Today I want to share with you (more particularly with student researchers) few of the useful tips on how to make use of some hidden features in Google Doc . 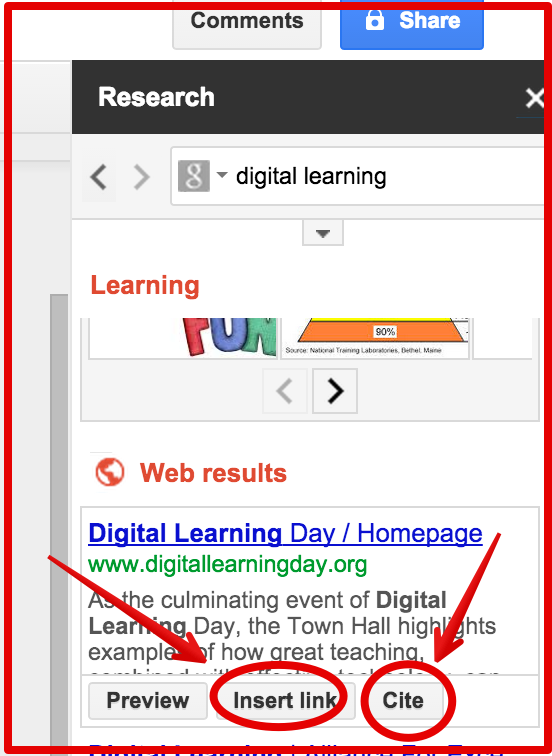 The research tool allows you to do research simultaneously as you are writing or editing your document. From one place you can search different Google services including: Scholar, Images, Quotes, Dictionary. 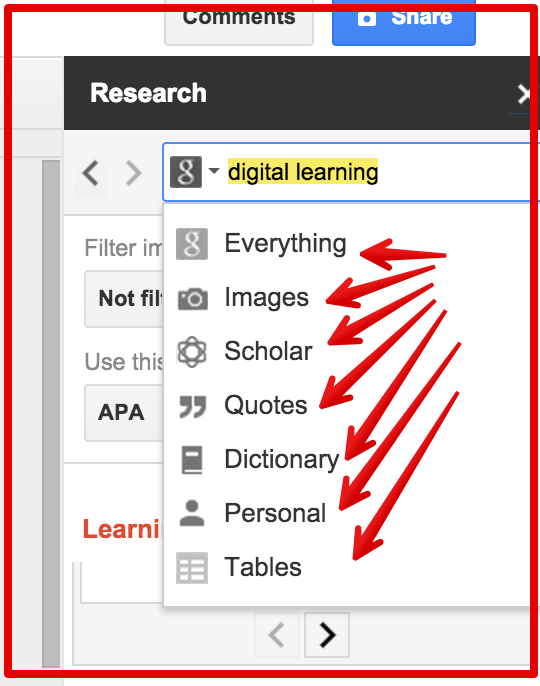 To access the research tab click on "tools" and select "research"
The great thing about this Research tool is that it allows you to easily insert citations and links to your document. When you find a web link that you want to add to your document, hover your mouse pointer on the that link and then on “insert link” and it will automatically be displayed in the place where you want it to be. 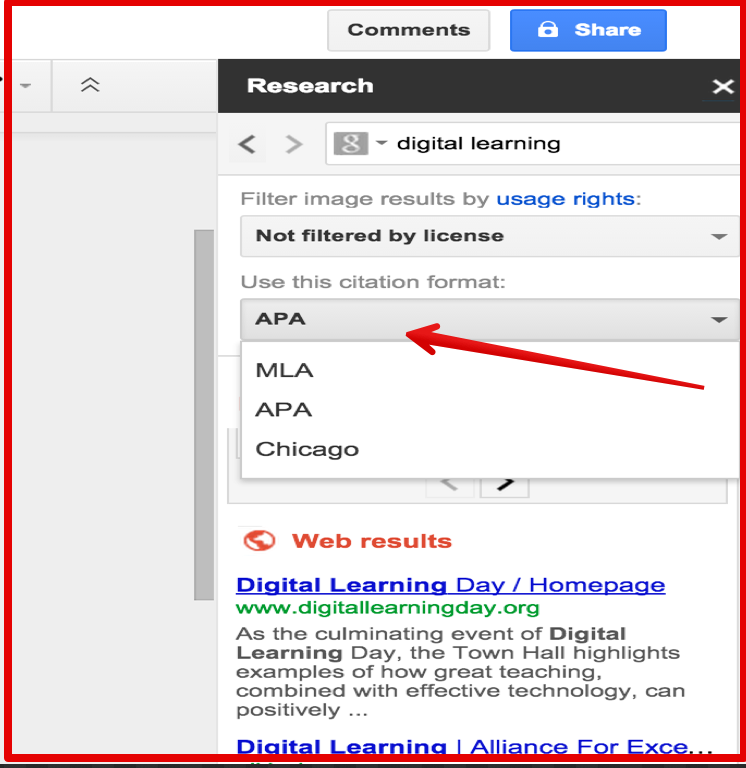 The same applies for citations, click on “cite” and Google Doc automatically inserts the citation according to the style you want ( MLA or APA, or Chicago). 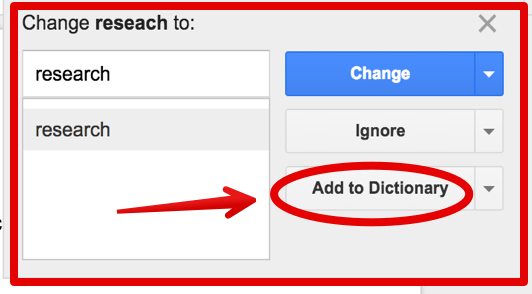 Google Doc has an integrated spelling checker that automatically underlines any misspelled word. However, if you are working on a bigger writing project and you want to make sure your piece is spelling-errors free, just click on “tools” then select spelling. All misspelled terms will be featured in the displayed window. And if you find yourself repeating the same spelling error over and over, I would suggest that you add it to your personal Dictionary as shown below and from time to time try to have a look at those terms you added there and see if you can remember its spelling. This is a good nifty tool for students working on assignments that require them to write a given number of words. 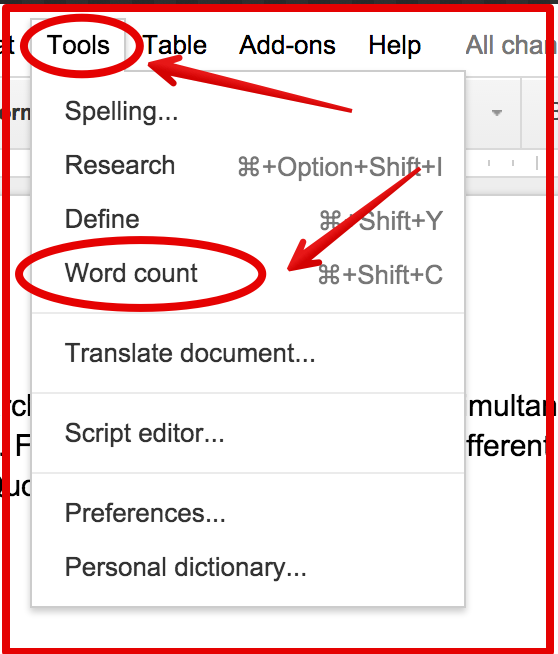 To know how many words you have written in an essay or article, just highlight the entire text , click on “tools” and select “word count”.